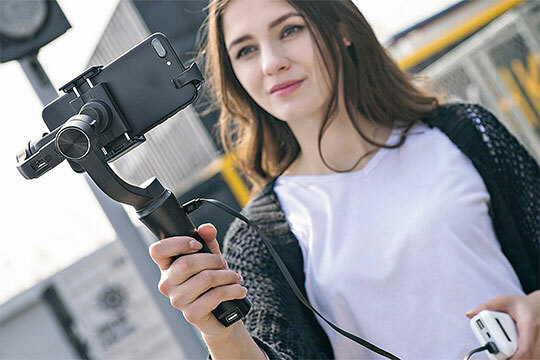 Zhiyun is back with a super stylish and user-friendly gimbal that fits pretty much to every smartphone up to 6 inches. It is lite weight, highly flexible and much more. Let’s dive deep into the details of new Zhiyun Smooth Q 3-axis Stabilization Gimbal to know the most interesting facts related to it. The new Zhiyun Smooth Q 3-axis Stabilization Gimbal comes in a cool packaging. The unboxing experience is going to be a wow… Not just the product but the case itself is very attractive. The device comes with a small violin-like case which is super cute and attractive. The case is accompanied by a belt so that you can carry it like a purse. 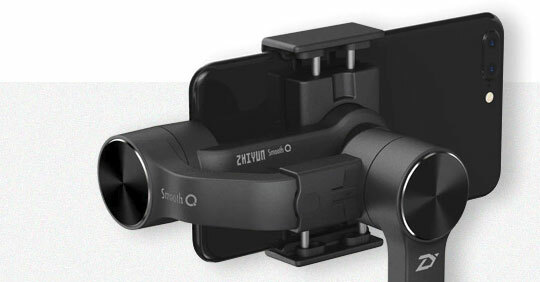 Zhiyun Smooth Q weighs just 450 gms facilitating smartphones up to 6 inches. It also facilitates add-ons like microphones and lenses. It has a plastic and metal body. The handle is made up of plastic and is much easy and comfortable for hands. This can help you stand long shoots. Moreover, it has a port for tripods. The most interesting thing about this gadget is you can charge your phone while shooting itself. It is feasible to be used in water and snow. Recommended for you: CHUWI Hi10 Plus Review – A 2-in-1 Ultrabook Tablet PC with Keyboard. It comes with the fifth-generation honeycomb which gives you a 40% wider torque range and 30% faster transfer rate. The device is built up with two built-in high-capacity lithium ion batteries that give you 12 hours of undisturbed operating experience. 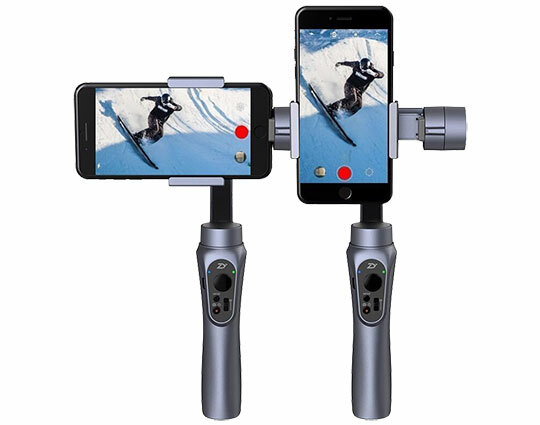 Moreover, the Zhiyun Smooth Q 3-axis Stabilization Gimbal supports various add-ons microphones and lenses and smartphones up to 6 inches without any counterweight. The device facilitates real-time focus adjustment which can be done by a switch that is present on the operation panel. The device can be easily shifted between vertical shooting mode and horizontal shooting mode. This flexible design allows you to have a nice video recording experience. The gimbal facilitates pan follow mode, lock mode and pan and tilt mode to give you an amazing shooting experience. Not just this its 5V 2000mA USB output allows you to charge the phone while you are shooting. 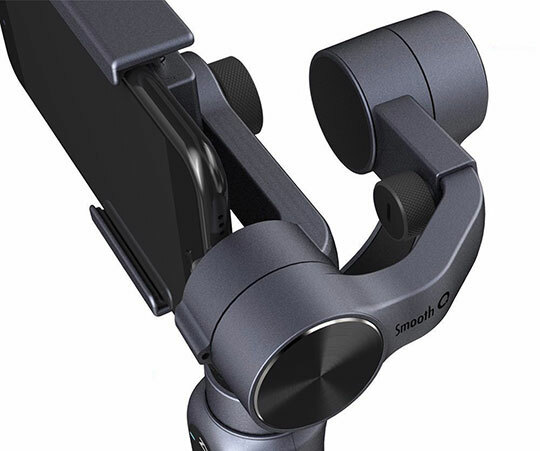 The gimbals enable various shooting modes like time-lapse, face tracking panorama mode and so on. The product is 4.65 X 4.3 X 11.22 inches in size and weighs 450 gms. The device has input voltage ranging from 6.8V to 12.8V whereas the working current ranges between 80 to 2000mA. As mentioned earlier the working time is up to 12 hrs. However, it takes 2 hours for the device to get fully charged. 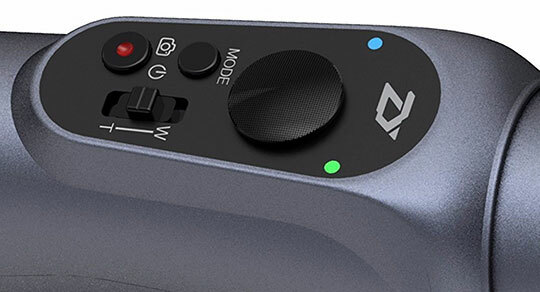 Talking about its motion the Zhiyun Smooth Q 3-axis Stabilization Gimbal the range of motion for pitch is up to 320 degrees whereas it rolls up to 270 degrees and has a pan mode of 360 degrees. When it comes to controllable motion ranges one can control the pitch from -135 to 185 degrees. The ranges for roll and pan mode are -30 to30 degrees and 360 degrees respectively. Moreover, Google Play and App store on the device. The device supports operating systems like Android 4.3 and above or iOS 8.0 or later. You may also like: AOMWAY Commander V1 FPV Goggles Review – All You Need to Know. This little useful and handy gadget is brought to you at a meager price of $137.61. The given price is specified after charging a huge discount of 10%. In addition to this offer, GearBest gives you a special deal, if you buy any item over $60 a discount of $1.11 is applied for any of the special promotional items. Avail this product at a price of “$111.11“, using the coupon code “11.11GB173“. The coupon code will work only for “first 50 customers” and the last date to use coupon code is “30th December 2017“. If you are such a person who likes to shoot a lot, this device is just perfect for you. It is user-friendly, lightweight and classy. It has excellent compatibility too. You get a smooth shooting experience with an effective battery backup and different modes that help in shooting in diverse situations. To add to your happiness, the product is available in four different colors namely rose golden, golden, jet black and space gray. Ever heard a color choice for a gimble? 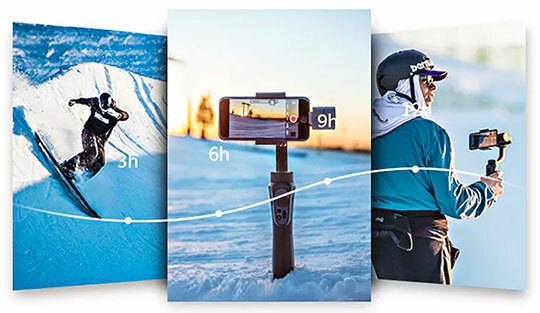 Enjoy this option with Zhiyun Smooth Q 3-axis Stabilization Gimbal. So, you all gadget lovers, what are you waiting for? Punch into gearbest.com and order one for yourself today. Remember that the offer is for a limited time only. It is user-friendly, lightweight and classy. It has excellent compatibility too. You get a smooth shooting experience with an effective battery backup and different modes that help in shooting in diverse situations.